*Tips on creating awesome products, choosing the correct paper sizing, US spelling & imperial measurements, paying taxes, US grade levels vs NZ year levels, differences in school terms, holidays and seasons + more! 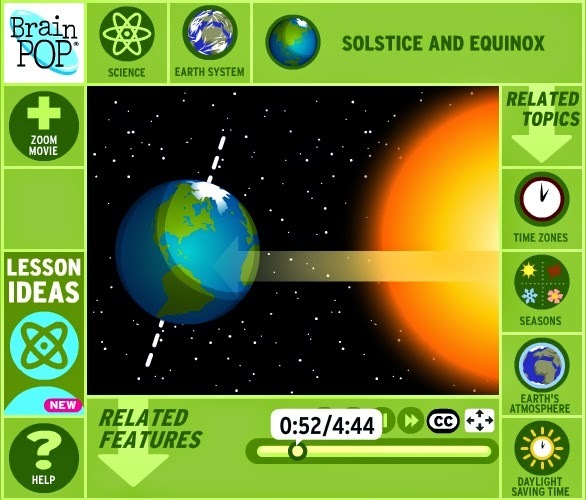 If you’re reading this, you’re probably already familiar with the American ‘Teachers pay Teachers’ website – probably (as I was) because of the amazing amount of free items available! This free to join and rapidly expanding site is an ‘open market place’ for educators to buy and sell resources. Because it’s an open market place there are very few restrictions on what you can sell (as long as it’s teacher related and copyright infringement free). You can set your pricing as you choose, and the site takes a small proportion of money from every sale – If you’re serious about selling on TpT, I suggest you upgrade to premium membership ASAP… you can find more information on setting up an account and the levels of membership here. 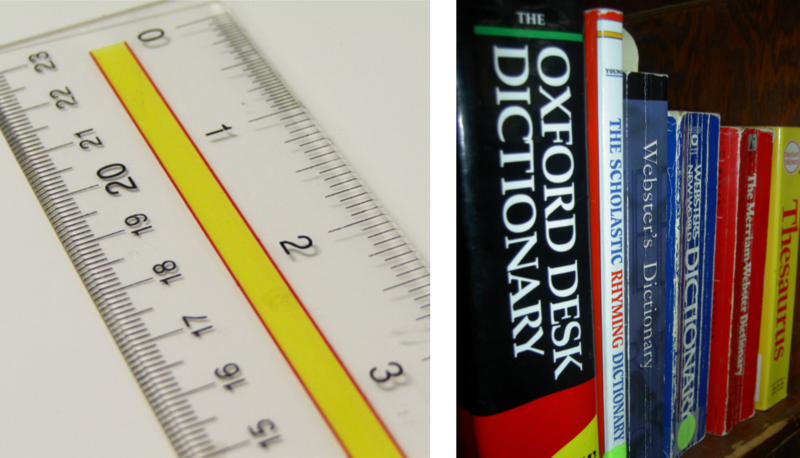 You’ll need to consider your market when creating products, as the US uses different spelling for many words and a whole different measurement system! MEASUREMENT: The US primarily uses imperial measurements, so you’ll need to give this some thought when creating your resources. I always make sure I include both measurements – normally metric first followed by imperial – e.g. 10cm (3.9in). Add duplicate pages at the back of the document with the alternate spellings (in Publisher, click ‘insert duplicate page’ before changing the selected words) This is an excellent option for short documents, or resources with only a few alternate words to add). Create 2 completely separate files and zip them together before uploading. 4 months into my TpT selling journey, I discovered by accident that the US does NOT USE A4 or A3. Doh! The US (along with Venezuela, Chile, Brazil and very small handful of other countries) use a different paper sizing option to the rest of the world. This US paper sizing is not a logical system in the same way the A4 system is (e.g. two A4s = one A3; two A3s = one A2 etc.) their paper sizing is random, in that the sizes do not relate to each other. Basically ‘US letter’ size is SIMILAR to A4. ‘US legal’ is SIMILAR to A3. Products created in A4 can be printed in the US on US letter size paper, but the margins will be slightly off and it may crop out the top and bottom parts of the page. Similarly, we can easily print US letter size onto A4, but it may have extra large borders on the top and bottom. Printing in larger sizes (US legal) does not seem as common in the US as printing on A3 size does here, so I’ve avoided using larger paper sizing in products intended more for the US market. (*Read more about choosing the correct paper sizing for your market further down the post). You’ll need to go into your page design settings and choose the correct paper sizing for your needs when creating your product. 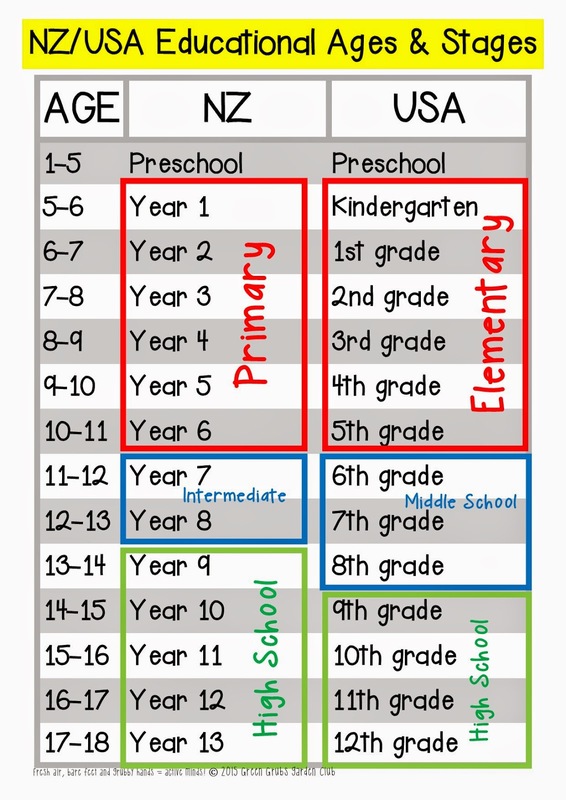 I whipped up the table below as a quick glance reference to remind me of the differences between the NZ year level and US grade level systems. I did this AFTER I received a customer complaint that a resource was to easy for her class (at which point I realised that I’d been incorrectly tagging all my resources urgh…) As part of the TpT product upload process, you’re asked to tag the grade levels that your resource is appropriate for, and I’d misunderstood their whole ‘grade’ leveling system! The word kindergarten in NZ refers to preschool levels, but in the US that’s the name for their year 1’s. YOUR TARGET MARKET – WHICH TO CHOOSE? The US buyers market is MUCH larger than any other, so you’ll need to think about who you’re targeting before you create your product (keeping in mind the spelling and paper size). Some resources are a ‘no brainer’ (e.g. my NZ Waitangi Day and Anzac day products are created in A4 sizing as these are of no interest to the US market). If you’re targeting a broader market (e.g. my best selling ‘Worms’ product) you’ll need to consider how you want to handle the paper sizing and spelling issues. IMPORTANT – it’s much easier to convert a product from US letter size to A4 than the other way round! (Changing from A4 to US letter size means you’ve got to squish a large amount into a smaller size which causes twice the re-sizing issues. Stretching your smaller US size to the larger A4 is easier. If you get desperate, you can always JPEG each page and the reinsert them into the new paper sized document, but the quality is never as good. Re-save the product and call it “_______A4 version” (or something similar). Click ‘page design’ and choose the new paper size. Go through each page individually, highlight all objects on the page (ctnl+A) and click ‘Group”. Carefully re size all the objects to fit the new page borders (pay careful attention to all the text boxes as you can sometimes lose the last lines of sentences and may need to un-group and re size the individual boxes). 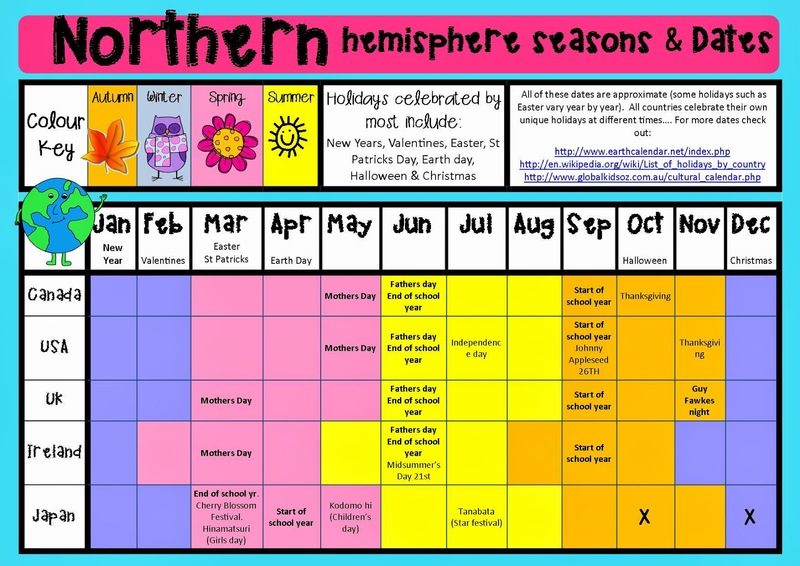 The US experiences their seasons (and therefore their school terms) at different times of the year. This has a big impact on sales – e.g. their big ‘end of year’ school holidays fall in June/July (not Dec/Jan as they do here) which means a huge slump in sales around these times. 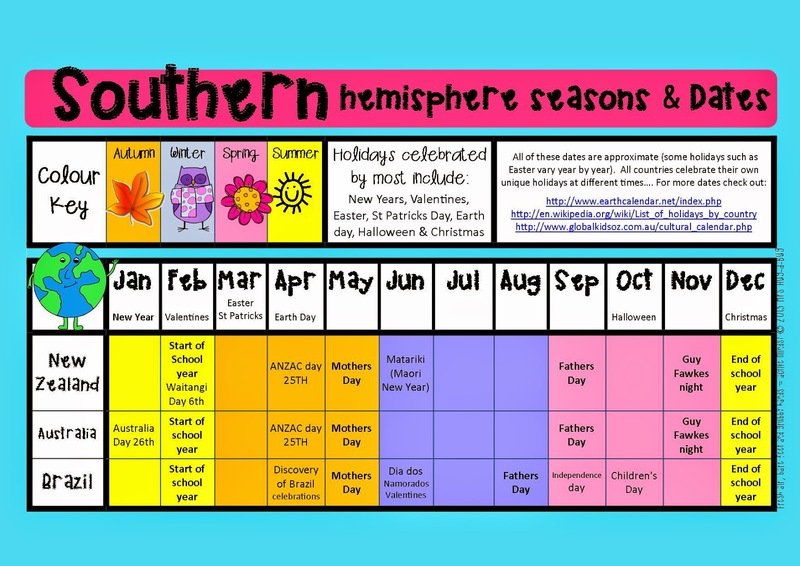 These seasonal differences also mean you’ll need to consider your market during product creation (e.g. unlike us they really do have snowmen at Christmas, so you’d need to think about these differences when including clipart). We also celebrate things like Mothers and Fathers day at different times of the year, so these products need to be marketed at a range of different times. Most sellers make their products in Power Point or Publisher (I use Publisher, a few use Word, but most people swear by Power Point). You’ll want to make sure your product comes complete with a small copyright mark on each page and a ‘credits’ page that gives recognition to the clip art and fonts used. A page which includes links to your social media sites is also a good idea. Check out the sellers on TpT who create commercial licences for clip art and fonts – as you’re now selling and making a profit off products, the clip art and fonts you use need to have a commercial licence. Make sure you include a eye catching cover page, product preview, thumbnails, and a detailed product description. Your first product needs to be a freebie. This is great advertising for you and your store, so make it awesome! 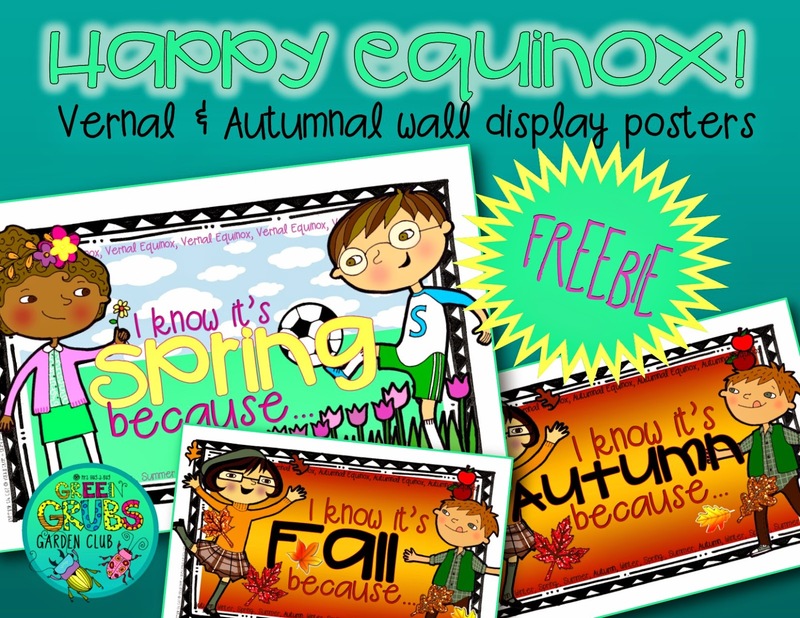 Have a look at some of the top sellers and download their freebies to get some more great ideas on all of this. For much more detailed information about hyper-linking product descriptions/adding fancy quotes banners/conversion rates/securing your products/product views on your store page etc. you’ll want to find the TpT sellers forum and peruse them daily!! (In the green bar at the top of the forum you’ll see a small ‘search’ icon – make use of this as every topic under the sun has been discussed multiples times here. Making awesome products needs to be your number one priority, and most sellers talk about a tipping point in making sales that comes after having 20+ products in their store. This can take a long time….patience, patience, patience will be required on your TpT journey – I only started seeing regular daily sales 6 months in. As soon as you’re seeing interest in your products and sales, you’ll want to think about marketing. If you’re already on social media,you’ll probably want to consider setting up separate business pages (to both save your non-teacher friends from being spammed with resources, and because separate business pages are a requirement for most sites.) There are so many social media options out there that it can seem overwhelming. Here’s are my thoughts on a few! Choose one that you’re confident with and then SLOWLY build from there. PINTEREST – a business page is a must. This option is free and gets your resources in front of hundreds (if not thousands) of teachers eyes. You’ll want to join some good collaborative boards that focus on the curriculum area and year level range for your resources and make some eye catching ‘pins’. 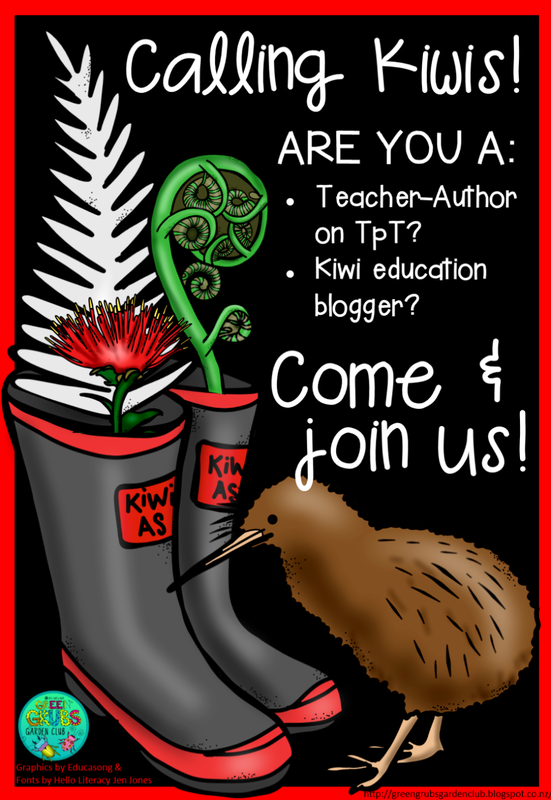 Check out my boards here and please let me know if you’d like to join my ‘Kiwi Education’ collaborative board. FACEBOOK – I have a dislike/hate relationship with facebook! You’ll need to set up a separate ‘business’ page for your store and be patient. The new business page algorithms now mean that not everyone who follows your page will see your posts (I have over 1000 followers, but unless I ‘BOOST’ (read PAY!) a post, on average, only 10-50 people will ever see it. I post regularly to facebook, but have found it really hard to grow a following there compared to other social media sites. INSTAGRAM – if you love taking pictures and/or your smartphone this is a great site for you! It’s a great way to connect with other teacher-authors from around the world and is much easier way to gain followers and build relationships. TWITTER – I’ve yet to fully embrace twitter, but some people love it. There are also awesome teacher chats to get involved with, discussing both local and overseas teaching issues. It’s best to think of social media as a ‘take-away’ meal – everybody prefers to order from different places, so the more different ways you have of offering your ‘meal’ to people the easier it is for people to connect with you and your resources. Some sites allow you to share posts to other sites (e.g. you can share your ‘tweets’ or instagram pictures to your facebook page if you so choose). BLOGGING – I have only recently started blogging, but have found it a great way to connect with other teachers overseas. I treat my blog as a ‘hub’ that all my other social media connects to. It’s a great way to give your resources some credibility, show them in action and let your customers get to know you. I never paid much attention to the stock market section of the news before starting on TpT… currently, the US dollar converts really well in to Kiwi which is great for us! In trying to discover what form I should file last year, I had the funniest conversation with the call desk operator at IRD while trying to explain TpT…. I thought I did a pretty good job in educating her on the whole set up, and was put on hold while she added details to my file. After about 5 minutes she came back on the line and said “So, just to be clear, you ACTUALLY MAKE MONEY off this? ?” ha ha ha! ***DISCLAIMER! I am in no way a TAX or IRD expert – when in doubt, consult an accountant or ring IRD! The US and NZ have some type of reciprocal agreement that means we only have to pay tax off profits from TpT here in NZ. You’ll need to file a yearly IR3 form (Check YES to the question “Did you receive any money from overseas?”) You’ll need to enter the amount of profit made after deducting your expenses. I deduct things such as the clip art and fonts I’ve purchased to create my products, and some people deduct power, printer ink etc. TpT has the great advantage of being able to quickly see at a glance how much you’ve made between certain dates, so make the most of their graphs and stats to track your progress). Click here to find out more information about IR3 forms. 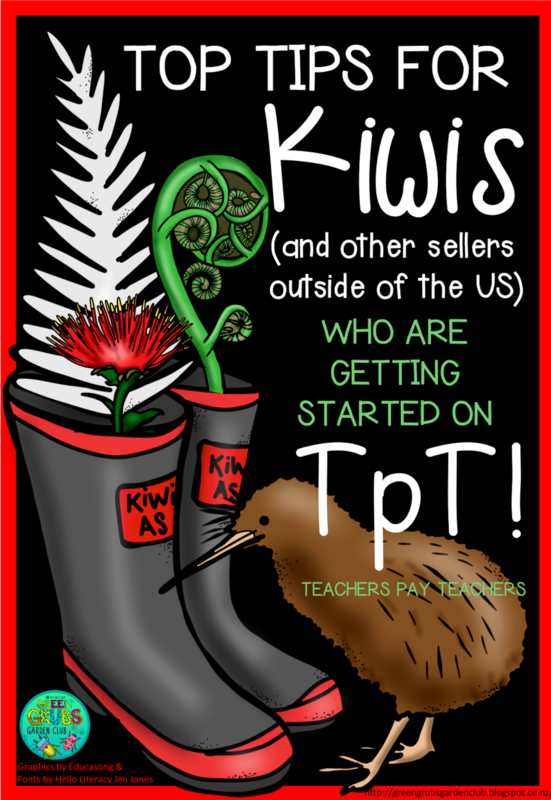 I’ve been delighted to see the number of Kiwi’s on TpT growing – please check out my list of other sellers here and let me know if I can add you to the list! I hope this has been helpful – happy creating! Celebrate St Patrick’s day this year by going on a clover hunt! 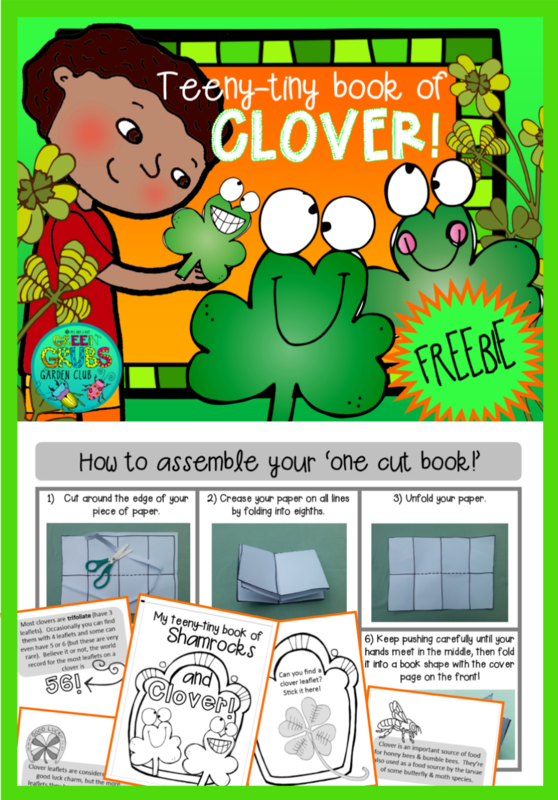 Your class will love folding and assembling this teeny-tiny-one-cut booklet that’s filled with facts about shamrocks and clover…. (e.g. you probably know that 4 leaf clovers are quite rare, but did you know that the world record for the most leaflets on a clover is 56?!!) After assembling and illustrating your pages, head outside to find a clover leaflet to complete your booklet. Download your free copy here at my TpT store. The instructions below (that also come with the resource above!) 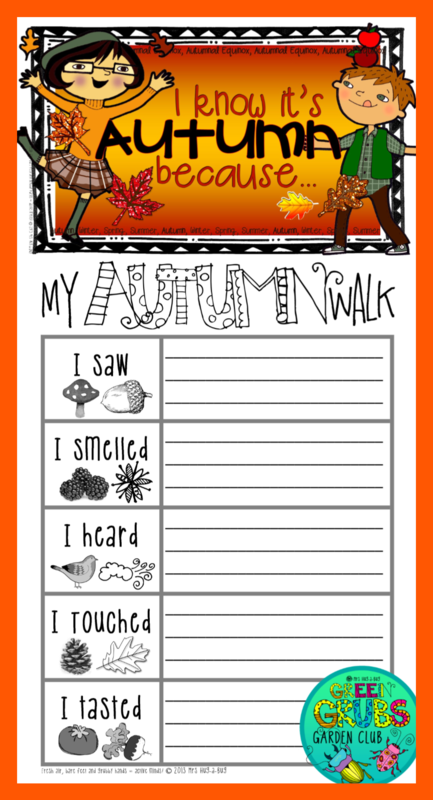 are great for creating blank booklets in class – kids love the small size and the fact they require no binding. 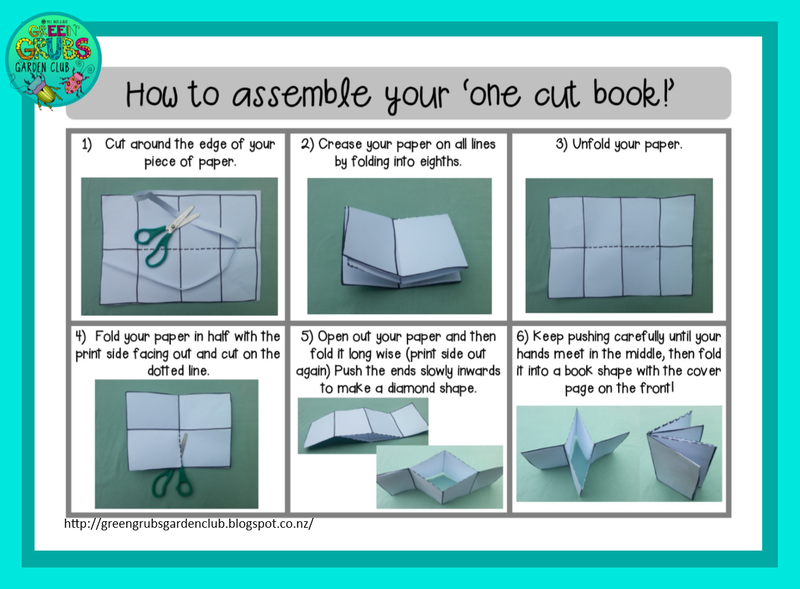 You can create REALLY small palmed sized books simply by reducing the size of the paper, or increase the book size by using larger paper. Clover is common in most places, but if you’re having no luck finding a clover leaflet to add to your one-cut book, you might want to change your focus to finding another type of ‘trifoliate’ leaf. Trifoliate simply means that the leaf has 3 leaflets attached together at the base (instead of a single leaf). 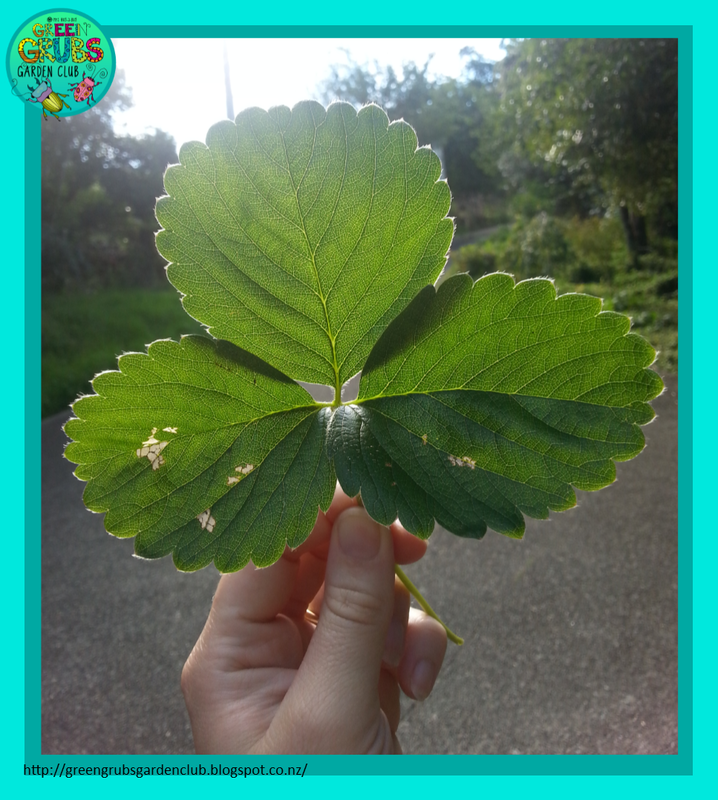 The strawberry leaf below is a great example of a trifoliate leaf! May the ‘luck of the Irish’ be with you this Saint Patrick’s day! 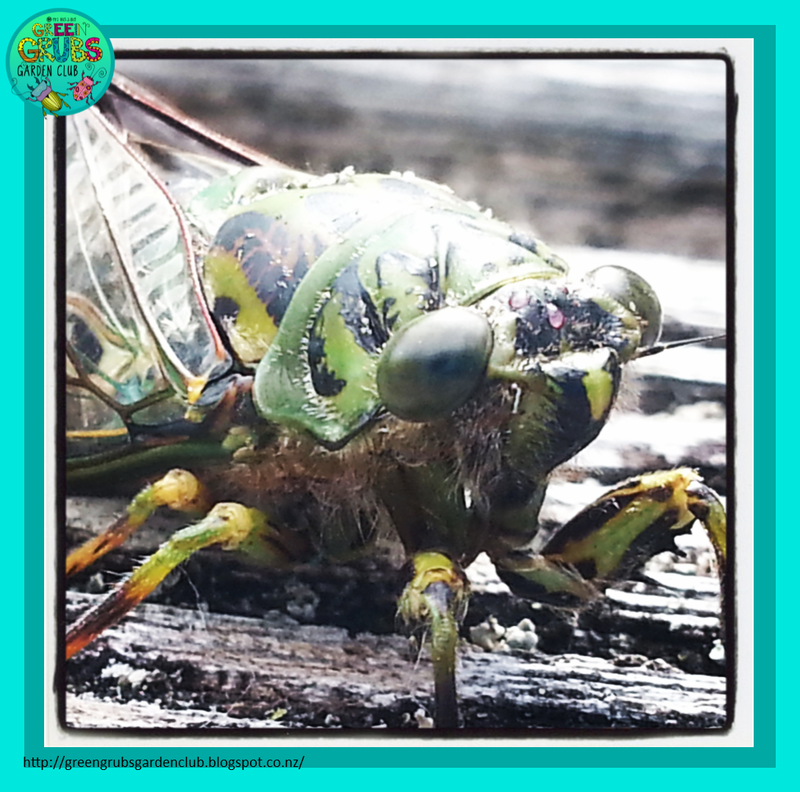 There’s nothing more summery than the deafening chorus of cicadas…. and this has inspired me to whip up another ‘top 5’ printable! 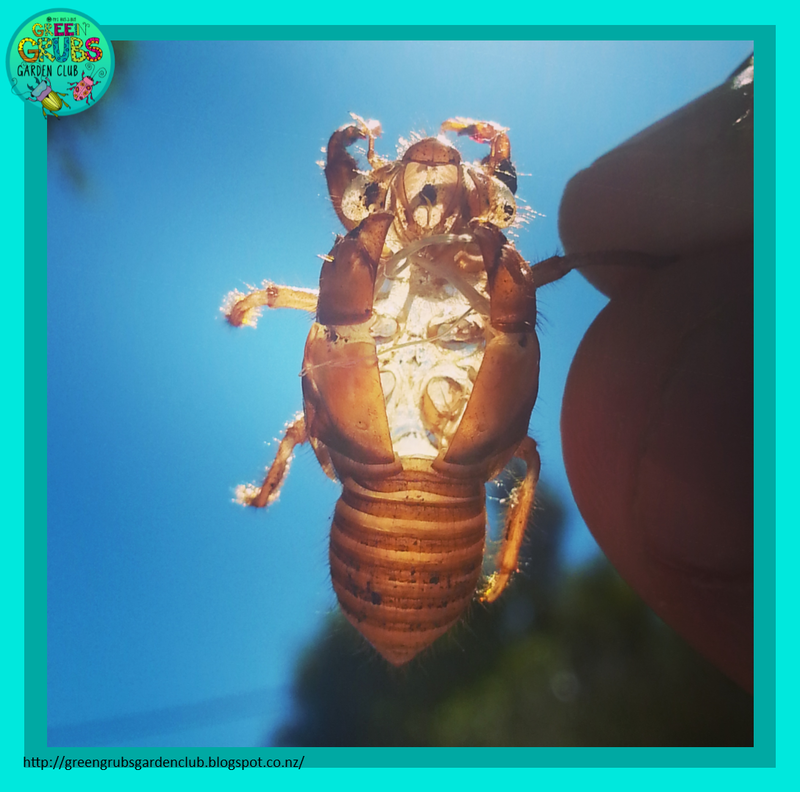 They really are incredible creatures – it’s amazing to think that some of the nymphs have been underground for up to 17 years before emerging as adults that live for a maximum of 4 weeks. 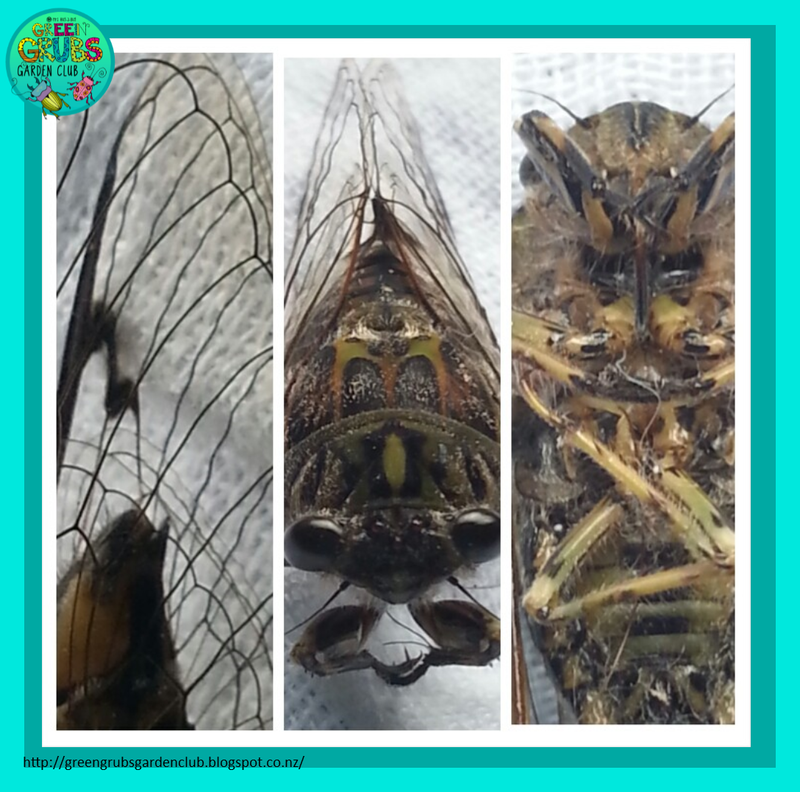 In the photo below you can see the cicadas ‘ocelli’ (the 3 primitive, pinky-jewel like eyes between the 2 main bulgy eyes). 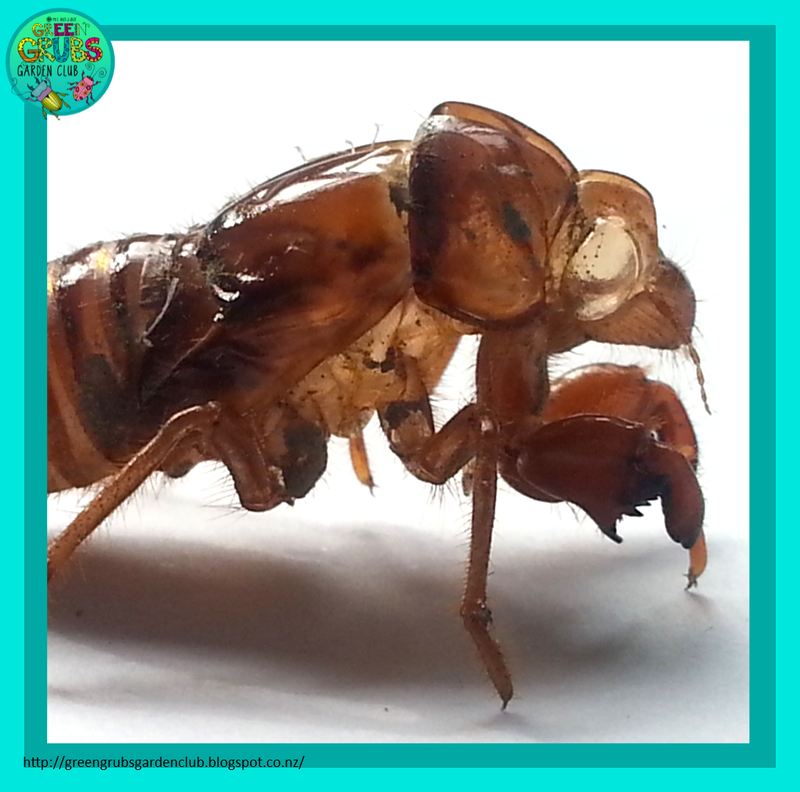 Looking for more thorough resources about cicadas? 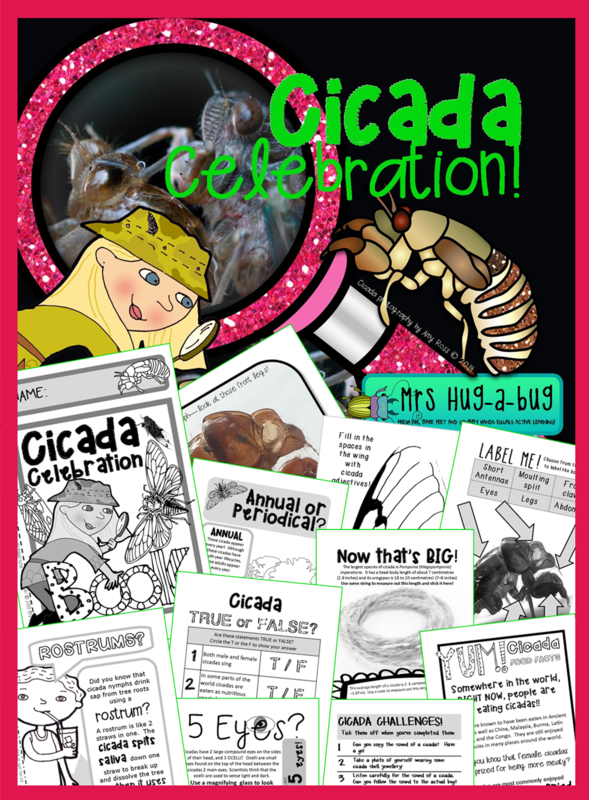 You might want to have a peek at my ‘Cicada Celebration’ pack! 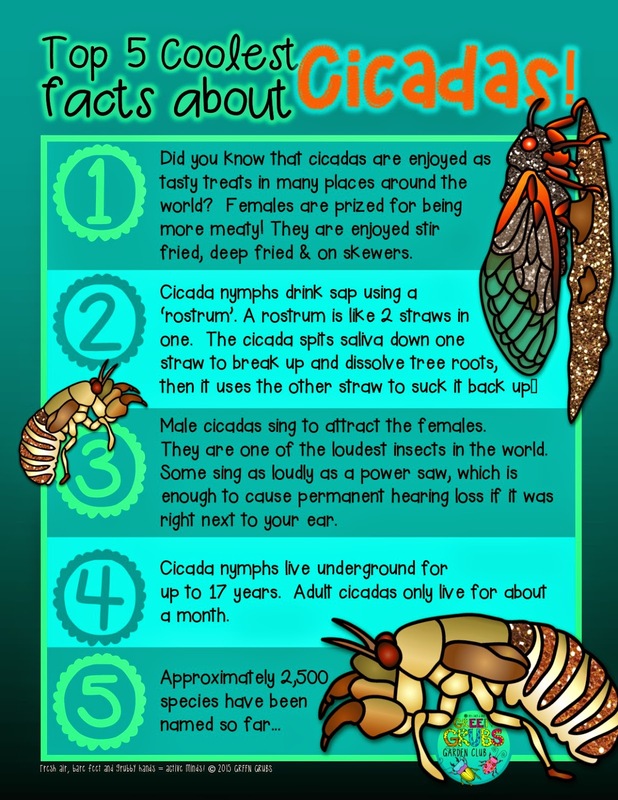 (This 46 page fun and facts booklet is designed to immerse you in all things celebrating the humble but noisy cicada! This pack also contains beautiful photography to help you get up close and personal with this fascinating insect). You can find this product here in my TpT store.